This beach babe is ready for cool breezes, virgin daiquiris and some R&R. I am starting my summer by updating my vacation wardrobe and giving it an elevated touch. Rompers and onesies are in this season and I am happy that classy is back in fashion. You can look effortless and chic without giving a peep show to the world. Save your beach body for the ocean and give me fashion on the surf. Tousled hair, undone make up and light weight wardrobes are calling your name. 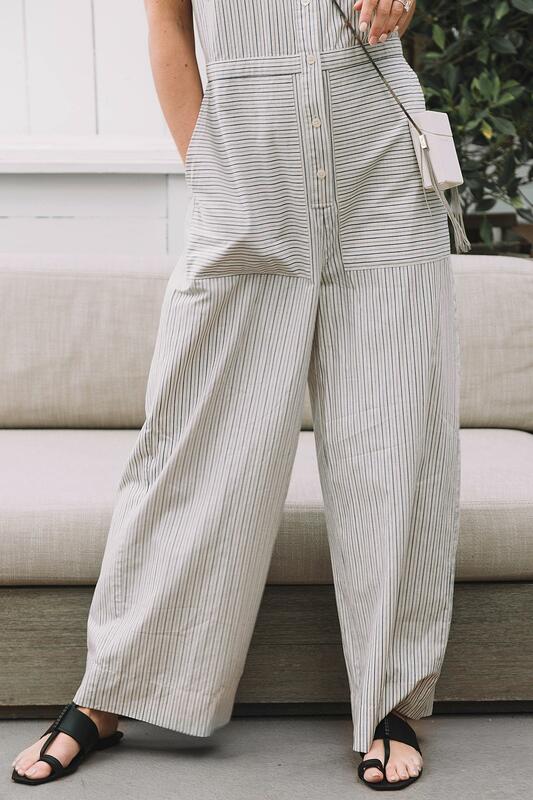 I love this striped onesies; it’s sophisticated, yet cool and certainly screams “off duty”. Paired with these undone St. Laurent sandals and you’ll be the chicest at the sea. Summer is calling and I am answering.